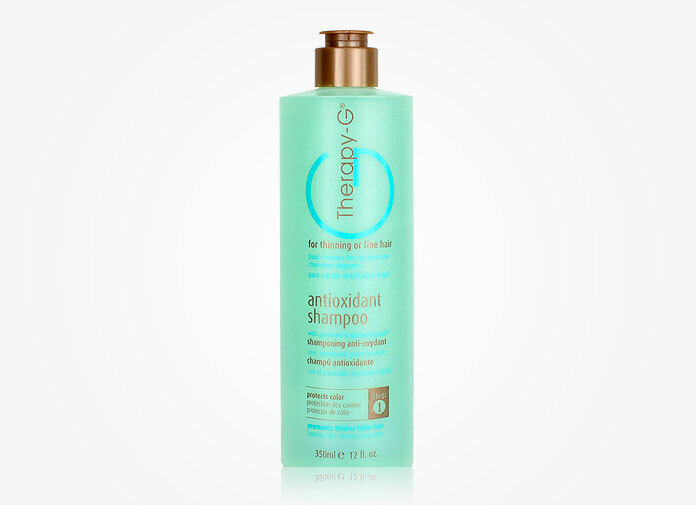 The Therapy-G complex shampoo of proteins, vitamins and botanicals is formulated to be an effective treatment and fashion styling for thinning or fine hair. According to the official site, their follicle stimulating ingredients help with hair fall-out by extending the hair growth phase. The company’s patentned molecule, Tryptobond Guard, is amino acid that attaches itself to hair strands. This special molecule protects your hair from UV damage, hair breakage, or coloring.